» Why no tax revolution? 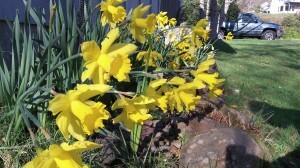 March: A season for daffodils and laboring over tax returns. This time of year it’s always a little surprising that we haven’t had a revolution lately. It is, after all, the season when people are obliged to spend time with the federal and state income tax codes and the numerous forms and work sheets they entail. The tax codes get ever more complicated, and so does trying to figure out how much you owe or how much you might get back. For decades we have heard of proposals to simplify things. These plans get nowhere because by definition, the income tax has to be complicated. So you’d facts about cialis think that Congress would have worked harder to find another way to raise revenue, one that does not require mountains of regulations and forms or the filing by millions of people of annual returns. How about a federal sales tax, for example? People would be paying as they go without filing forms. The rate would have to be pretty stiff to raise the trillions of dollars the federal and state governments need to do their modern jobs. But at least this would give citizens a daily reminder of the steep price that government demands. I just paid my bookkeeper $520.00 to complete our returns. She has also made mistakes the last 3 years in a row….too much paper work and too many documents. I guess there are more than 70,000 pages of IRS rules. Other media has said the IRS will not even respond to 30% of inquiries for lack of staff. Maybe they need to stop meddling in conservative 501C’s and conducting so many audits! Lawmakers have not made tax law changes a priority. I have read that 80% of the people who file returns would not even need to. The IRS already has information sent to them by employers, banks, etc. After all this information was submitted, the IRS could simple send a letter saying based on the information we have you either owe us money or are due a refund. If you disagree then file a tax return. The filing deadline of April 15th would have to be pushed back to perhaps June 15th and the standard exemption perhaps increased to make it work. Just think of the howls from all the special interest groups! Yea, Hasso, for writing the word, revolution! The Congress and the Presidents are always too busy campaigning for their next election or for their legacy, so they have no political will or heart toward reforming the tax code. They make enough money to pay some lawyer to figure their taxes. Yes, there should be people taking to the streets in revolution in this country. But, we don’t have the guts like they do in other countries.